Cause: Melanoas to kidney, lung & brain. Recently fought prostate Cancer. Lismore police sergeant Matt Jacka at the Lismore roundabout where he and fellow off-duty officers arrested the man involved in yesterday’s road rage incident. It has been reported that Matt JACKA has recently died from an illness. May you forever Rest In Peace Matt. 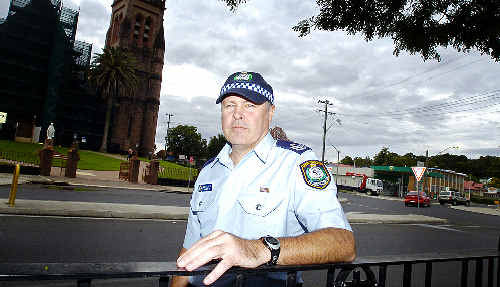 I have now resigned from work in order to study full time, but I worked in General Duties police for the past 26 years. During that time I did spend 12 months attached to the NSW Police project team arranging the emergency services response to the World Youth Day event. A ROAD rage bully met his match when he leapt from his vehicle and attempted to intimidate motorists on the Bangalow Road in Lismore yesterday morning. Much to the delight of fellow road users, the 26-year-old man from Brunswick Heads, who was seen driving dangerously and aggressively between Boat Harbour and Lismore, got more than he bargained for when the first driver he threatened turned out to be an off-duty police officer on his way to work. If the driver thought that was unlucky, fate conspired even further with a second off-duty officer, Lismore police Sergeant Matt Jacka, also waiting in the queue, and a third officer pulling up just moments after that. The maverick motorist was arrested and taken to Lismore police station and will face court on a range of traffic charges next month. He was later taken to Lismore Base Hospital for blood and urine tests. Sgt Jacka said he was following a fully-laden petrol tanker into Lismore, which he said was driving carefully in the dangerous conditions, when he was overtaken by the speeding driver after being tail-gated for about 30 seconds himself. “He disappeared into the distance, but we caught up with him in the 60km/h zone in Lismore, where he appeared to be menacing drivers by slowing to 25 or 30km/h,” Sgt Jacka said. Police are still piecing together the sequence of events leading up to the incident and have appealed to any witnesses with information who were travelling to Lismore on the Bangalow Road before 6am yesterday to contact them. The aggressive driver was seen dangerously tail-gating and overtaking traffic in dark and wet conditions near Bexhill before impeding traffic at Lismore’s city limits. He eventually stopped his light blue, late model Ford Falcon utility in the middle of the road at the roundabout at St Carthage’s Cathedral and the BP petrol station about 6am, and was seen running at vehicles shaking his fists and yelling abuse. 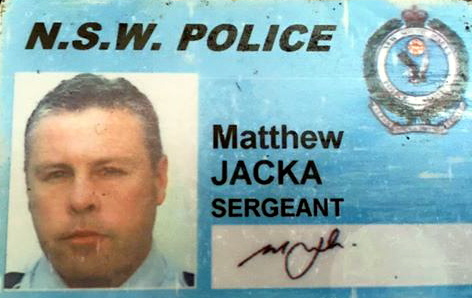 Sgt Jacka and his police colleagues were more than happy to accommodate the man’s ‘issues’ back at the Lismore police station. “You need your wits about you on that road as it is, let alone in dark, wet and foggy conditions,” he said. “We highly recommend that drivers report such incidents and we will always follow up where we have a registration number. “But it is important to exercise extreme caution and slow down or pull over if you deem it necessary. There are heavy penalties for road rage in NSW, including permanent licence disqualification, fines up to $5500 and/or two years’ imprisonment.